A little pig takes a thrilling sled ride down a snowy hill in Oops! by author and illustrator Leo Timmers. 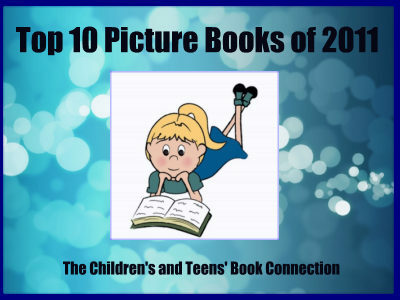 Come take a magical ride down a snowy hill with Piggy as he tries to get safely to the bottom where Mommy and Daddy are standing. This is a fun, wintertime book for preschoolers that teaches them about over, around, under, and between. Piggy is acting a bit naughty, but he can’t resist going down the hill by himself. He soon discovers however, that as he’s going downhill, others are coming uphill. 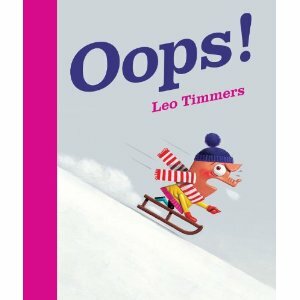 “Oops!” and “Phew!” are words repeated throughout this simple story, whose quirky characters and silly illustrations will have youngsters asking to read it over and again. I’ve said this about Clavis Publishing before, but I really appreciate that they “get” children. Their books are perfect for little ones. I’m thrilled to add Oops! to our collection.